Rent-A-Port was contracted to prepare a concept design and a feasibility study of the Gabbro Expansion Project at Umsaid, Qatar. 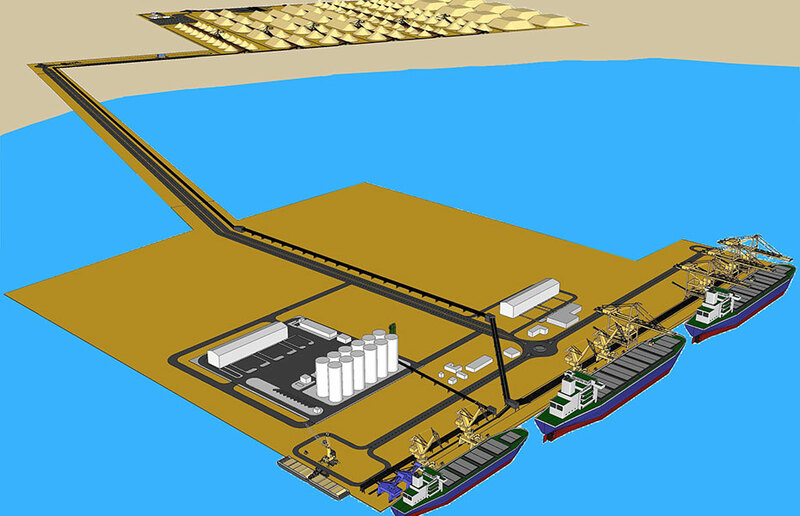 Objective of the design was to double the throughput of the Gabbro terminal to reach 30 MTA, using the same berths. Rent-A-Port achieved this objective by installing a major conveyor system below and behind the cranes, thereby taking truck loading away from the quays and into the stockyard. Upon approval of the concept by the client, Rent-A-Port developed the basic design, including project specifications and tender package. Meanwhile Rent-A-Port managed the contractor selection process including shortlisting, tender evaluations and tender selection.